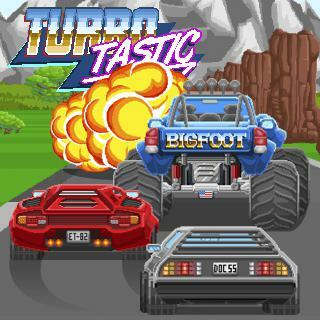 Turbotastic is a magnificent retro looking racing game. Jump into your racing car, gather as many power ups as you can to get a racing car or a destructive monster truck and run the race for a new high score. If you like speed, fast cars and games full of action, Turbotastic is the perfect game for you!